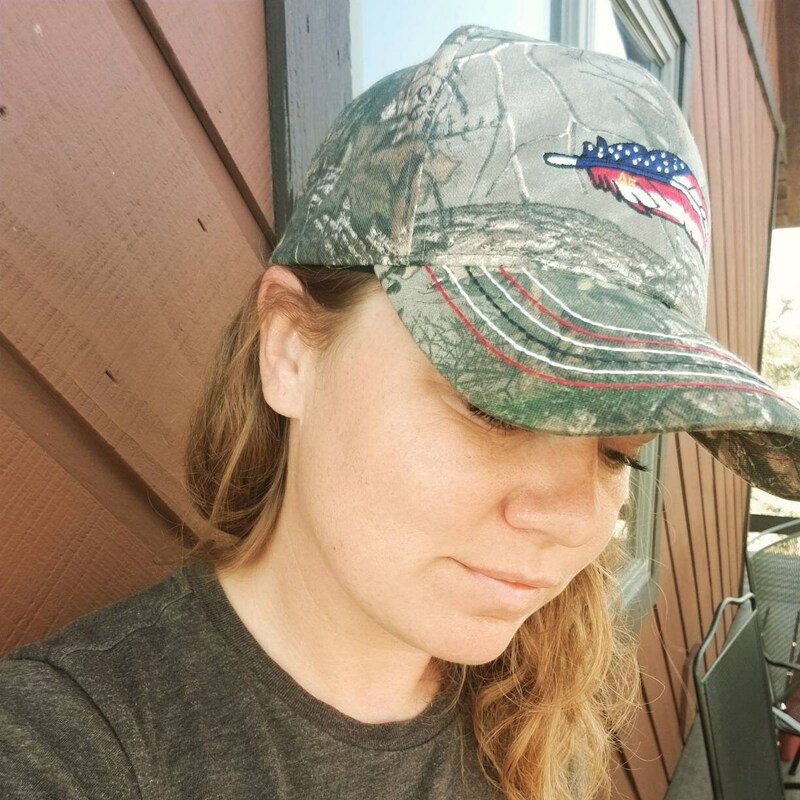 The Classic American Feather Hat is another way to share your story behind the feather, no matter where you go. 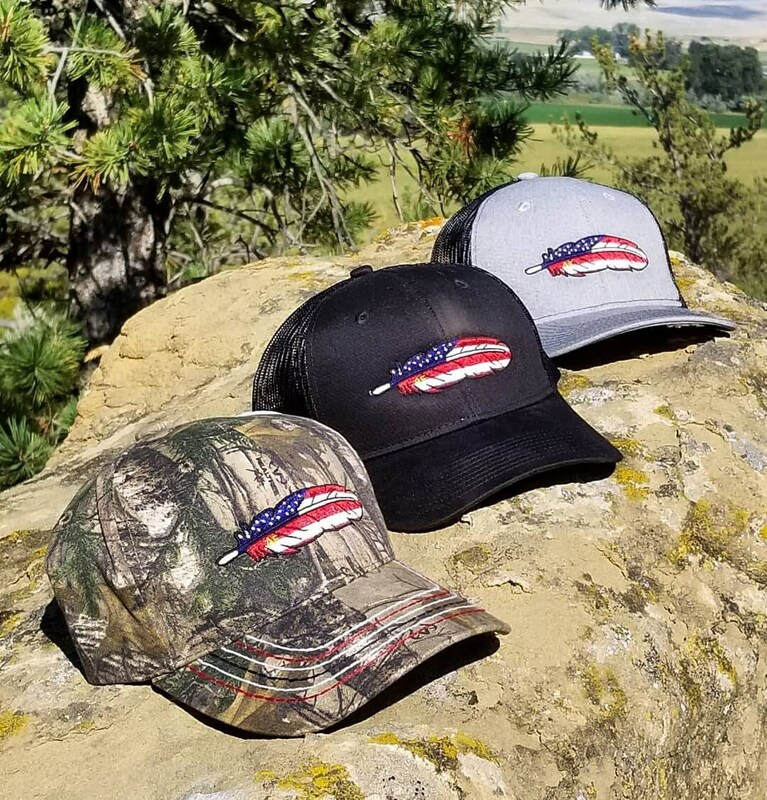 This American Feathers hat is Realtree Camouflage, with an adjustable velcro fit, and an embroidered Classic American Feather on the front. 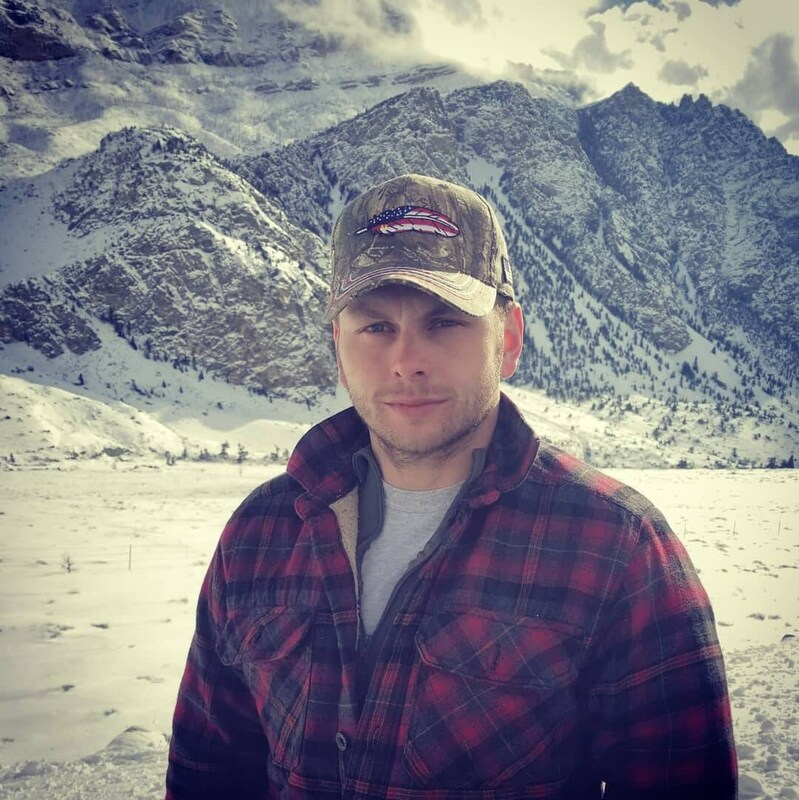 Thank you for helping me ensure Tyler is never forgotten, encouraging others to share their stories of service, and empowerkng those left behind to honor those gone too soon by living. You are a part of the American Feathers story. When will my American Feather Ship? 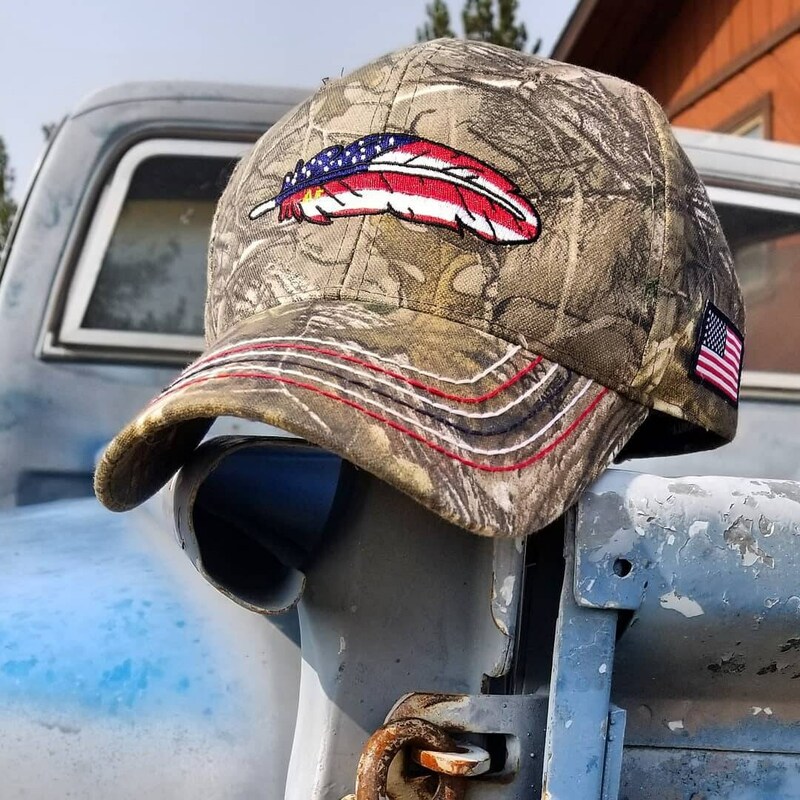 All American Feathers are currently made to order. Due to the amazing support and demand, there is a wait as many orders are placed at the same time. After you place your order via Etsy you should recieve a confirmation that includes your ship date. You can also see the estimated time it will take to ship on the Etsy listing before ordering. 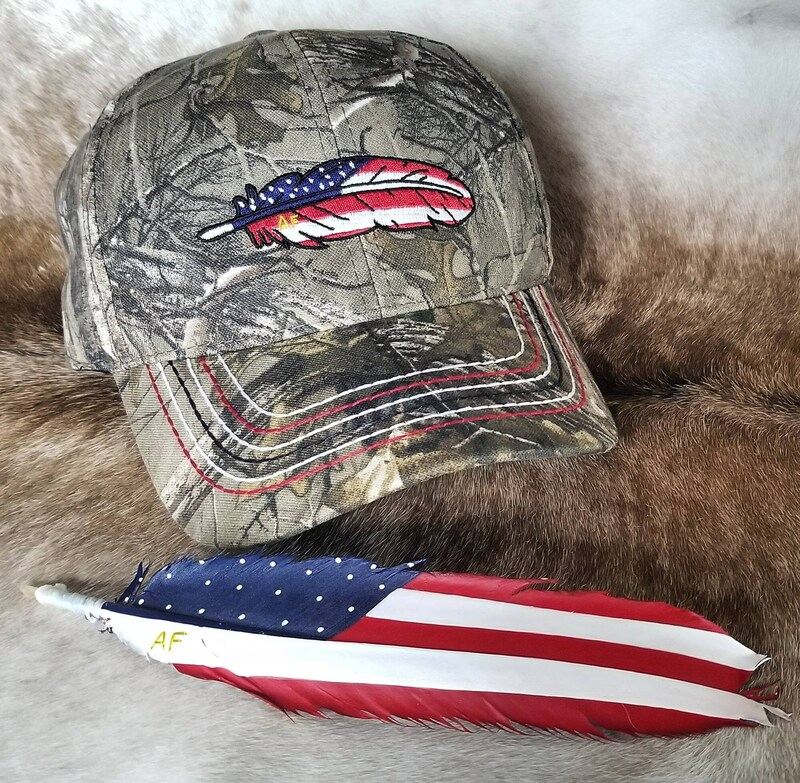 I truly appreciate your orders, support and patience as I create your own one of a kind American Feather!